Too often we think of holidays as a journey overseas or interstate, but there’s much to discover in our own backyards…as we found out last weekend. 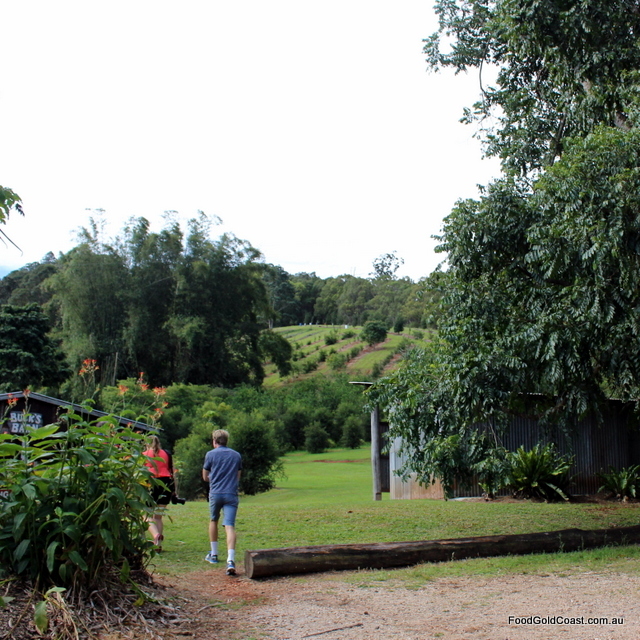 We took up an invitation to go on a bus trip around the Tweed Valley in preparation for the upcoming Tweed Fusion festival. Held from 23 – 30 October 2016, Tweed Fusion is a series of fabulous events that fuses the creative arts, nature, music and local food and capture the Tweed Valley’s natural landscape and the character of the coast and hinterland villages. 2016’s program, the third year of the festival, includes events such as a high tea at a restored historic house at Tumbulgum, Taste the Tweed at Hastings Point, a dance spectacular at Tyalgum, market visits including masterclasses with local chefs, a tasting tour, opera in the afternoon, dinner in the gallery, a spring fair and craft trail, and a country picnic in a secret location. 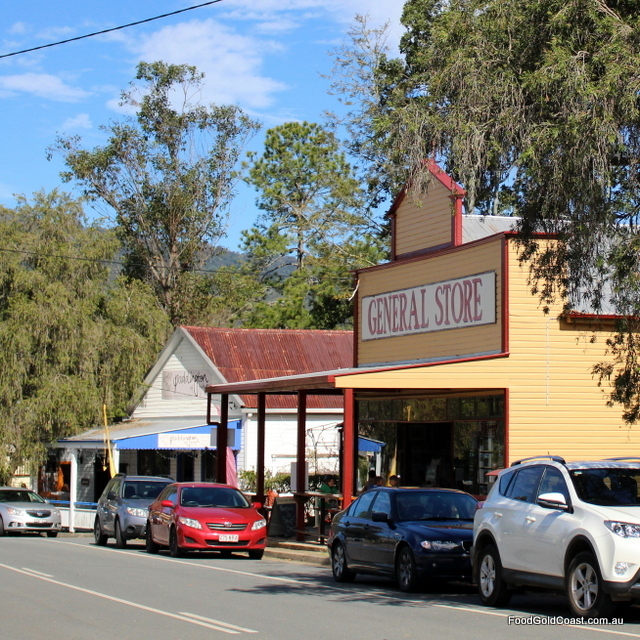 Situated within the caldera, the rim of a giant volcano, the Tweed Valley is a uniquely beautiful fertile area encompassing Carool (on the ridge along the state border), along the Tweed River to Tumbulgum and Murwillumbah, beaches down past Hastings Point, and inland areas such as Tyalgum and Chillingham. Hosted on our bus trip by Mount Warning Tours, our first stop is the Tweed Art Gallery, a personal favourite hangout. 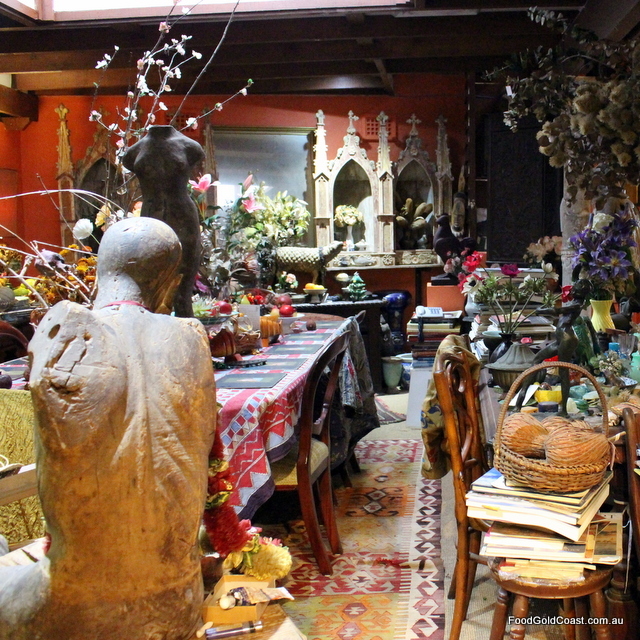 Besides having a brilliant collection of its own, including the permanent installation of a part of Margaret Olley’s house, Tweed Gallery hosts exhibitions such as the Archibald Prize, the Olive Cotton Award and the Border Art Prize. 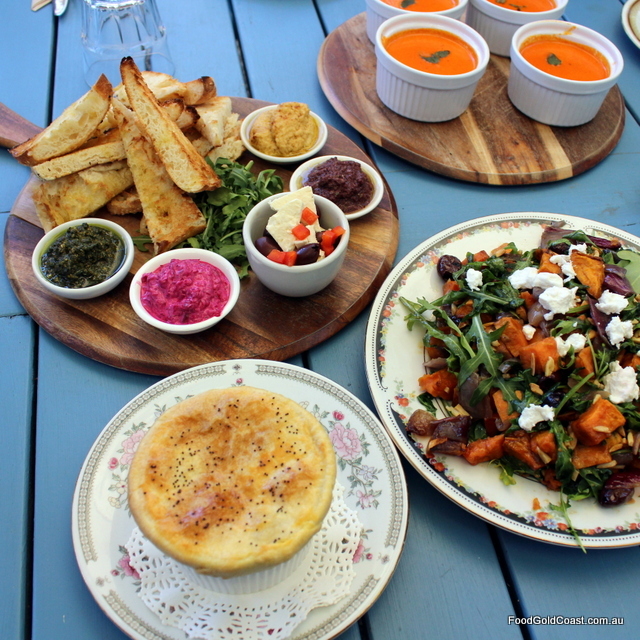 We enjoy morning tea at the gallery’s café, run by Peter Clarke and Charlie Ebell of the renowned Mavis’ Kitchen, almost within view a few kilometres away at the foot of Mount Warning. Besides the gallery itself, the café is well worth a stopover for its delicious lunches and afternoon teas and stunning views. Our next stop is the tiny village of Tyalgum (pronounced ‘Tal-gum’ by locals). As the bus crests the hill on the town’s approach, the towering western wall of the giant caldera rises up before us, providing a magnificent backdrop to the tiny 300 resident town. 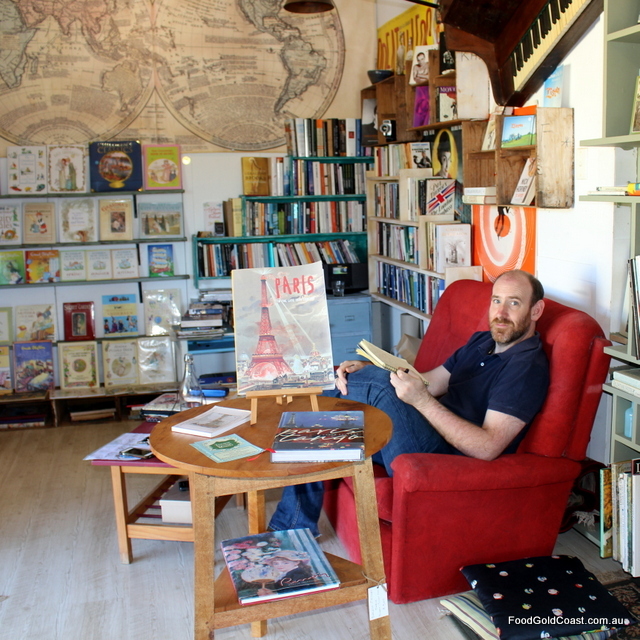 Founded in 1908, as a timber-cutting centre, it’s now home to a community who operate a series of shops cascading down the main street: a general store, craft studios and galleries, a bookshop, a bakery, accommodation and a wellness retreat as well as the famous Flutterbies Cottage Café, where we stop to enjoy a sample of their menu: an antipasto plate, kofta sliders, roast capsicum soup, country chicken pie, warm potato salad. Solar, the commercial manager of the precinct, tells us about the concerts and events regularly held in the village. It’s the location for both the Dance Spectacular, held on Saturday October 22, as well as the Spring Fair on October 29. 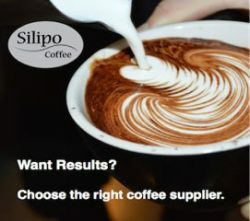 You’ll find them listed on the Tweed Fusion website as well as the Tyalgum website. We find out a little about the area’s bush tucker at Buck’s Farm in Chillingham, another small town north-east of Tyalgum. Buck’s a major grower of seedless finger limes,as well as the very interesting looking Buddha’s hand. 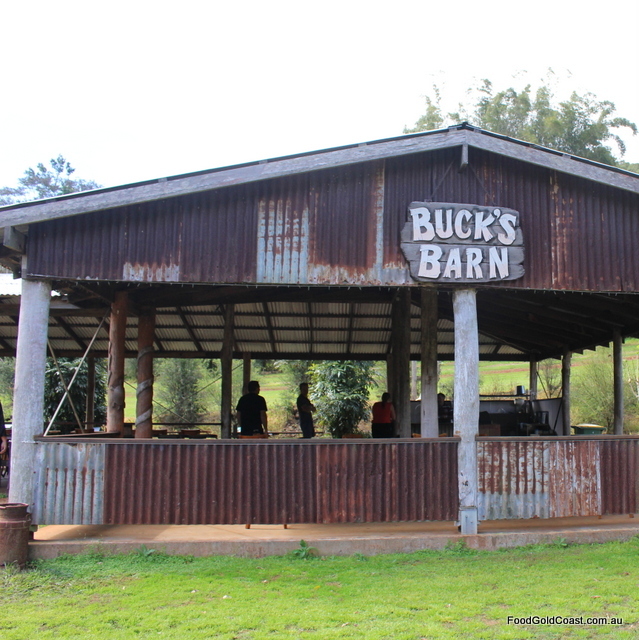 In the barn on the roadside of the 350-acre property, Gerard Buchanan (‘Buck’), gives us a short talk about his produce before we wander down to the shop to purchase fresh farm produce, therapeutic oil and medicinal creams made from bush tucker and natural oils. The final leg of our tour takes place by boat on the Tweed and Rous Rivers. 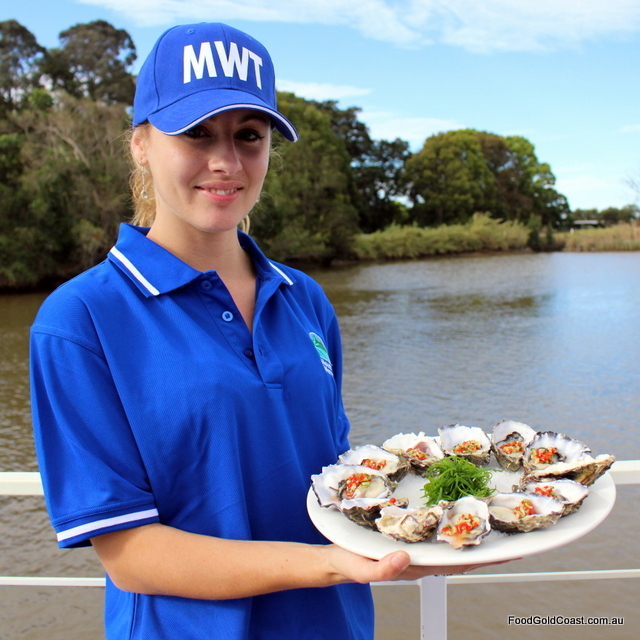 It’s one of the many tours offered by Mount Warning Tours, who also offer private charters. We depart from a new jetty opposite House of Gabriel, a café in a restored historic house, renowned for its high teas and seafood platters. We’re travelling on Mount Warning Tours’ new boat, the Spirit of Wollumbin, hosted by co-owner Kim. Catering from local chef Jake Mackeen is laid on: canapés and oysters, together with a popup gin bar from Husk Distillery whose owners, Paul Messenger and his wife, are with us on the boat. We pass by their distillery on the trip along the river. A geologist by profession, Paul developed the elegant Ink Gin, while perfecting his initial product, agricole rum. Made with 14 botanicals that include a mix of traditional and Australian natives, gin does not need to be aged. Pot distilled in small batches in a hand-beaten copper still, Ink Gin gains its gorgeous purple hue naturally through the infusion of the exotic butterfly pea flower. As its ph level changes with the addition of tonic, so does its colour, however it remains subtle and very smooth on the palate; another legacy of the flower. The Rous River meets the Tweed River at Tumbulgum, ‘the meeting place of the waters’. It’s a former timber logging area, the river forming the ‘road’ down which red cedar logs travelled after being felled by hand saws and axes, dragged out of the bush by bullocks and floated down the river to the mill. There are only about ten stands of red cedar left, and limited original rainforest, one tiny valley of the forest alone still holding 136 different endemic species. Of particular interest on the trip is the Stott’s Nature Island Reserve, an area of rainforest replete with hoop pine and bangalow palms. Along with children swimming in the river, houseboats and farms, there’s still plenty of bird life to see and enough remnants of past human settlement to stir the imagination. We’ve only had a taste of the delights of the Tweed Valley – boutique craft, events, workshops, concerts and, of course, delicious food. 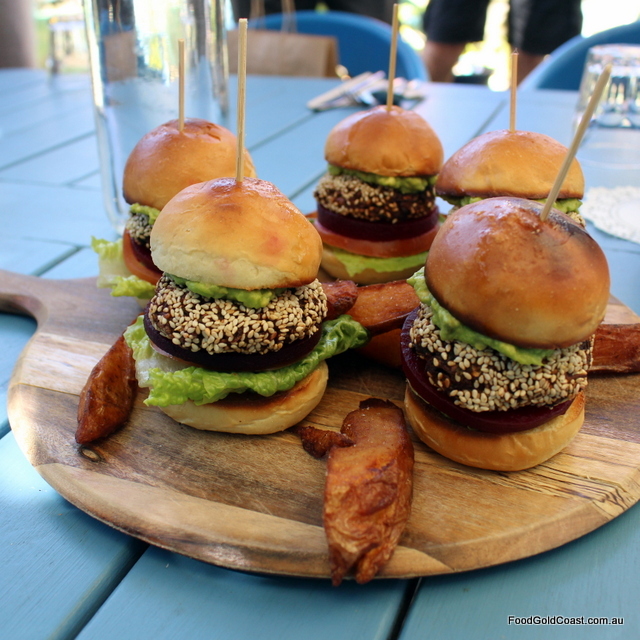 Why not take a spring tour into the Gold Coast’s ‘food bowl’, discover its arts, crafts and unique landscape, and enjoy the experience of venturing out into our own back yard. 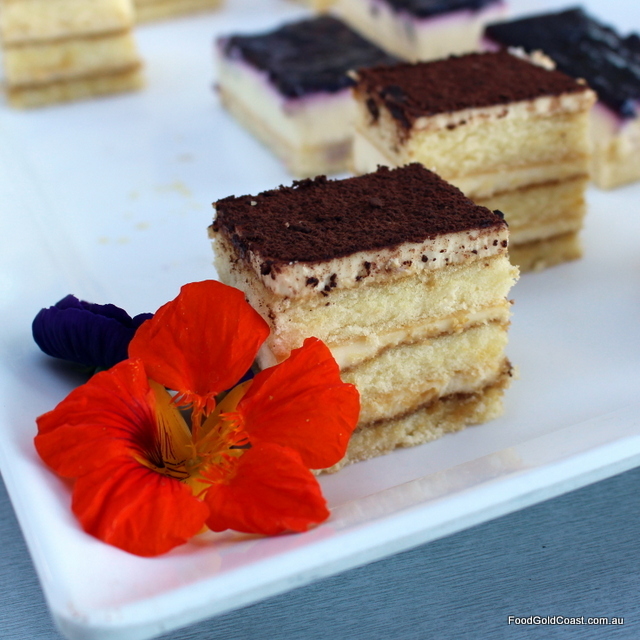 Details of Tweed Fusion events can be found on their website. 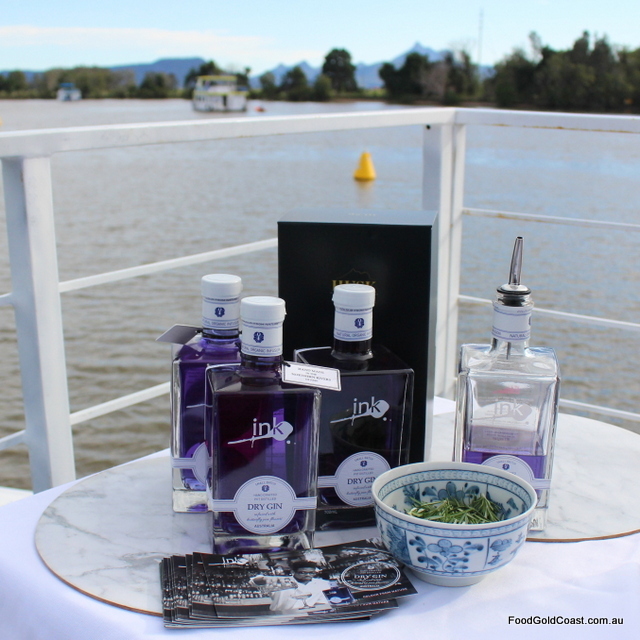 Ink Gin is available at Capri Cellars (at Capri on Via Roma) and at Dan Murphy’s stores Australia wide. 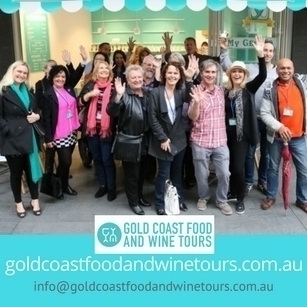 Note: Good Food Gold Coast were guests of Tweed Fusion and Mount Warning Tours.